Pleasant View Elementary teachers meet weekly to plan instruction. Collaborative Planning Time (CPT) is vertically aligned, so 4th and 5th grade teachers generally meet together. 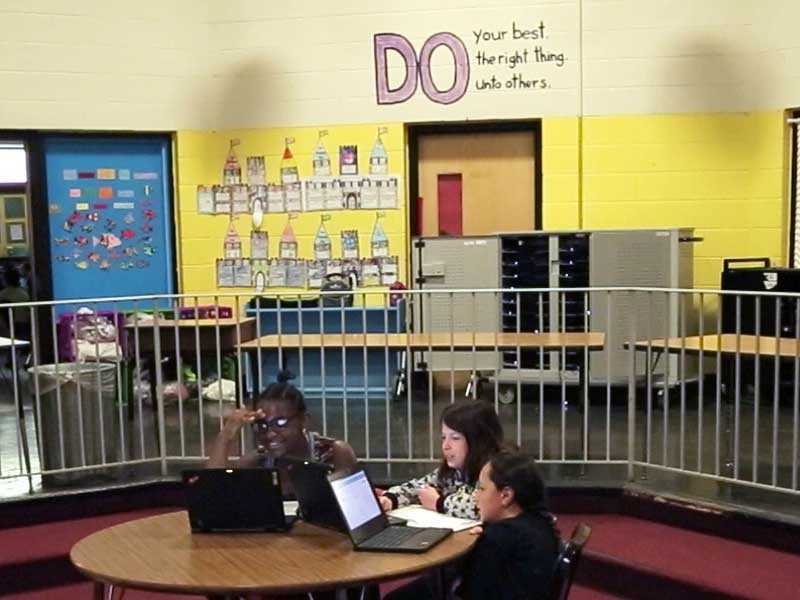 Given Pleasant View’s recent transition to Summit's Personalized Learning model, there has been a shift for the 5th grade team working together. Teachers are able to look outside of their classroom to identify which students need help and how they might be able to help them. CPT is personalized based on the needs of the classroom. Data plays a large role in helping teachers determine what they need and what they need to be doing next in the classroom. Teachers will often work with their Summit mentor or principal if they are not spending time collaborating with each other.